Pastor Robert Jeffress predicts that President Trump’s Supreme Court pick Judge Brett Kavanaugh will be confirmed by Congress. Brett Kavanaugh will likely be confirmed for the Supreme Court by the fall, according to Vice President Mike Pence, even though his nomination may have incited a political firestorm. 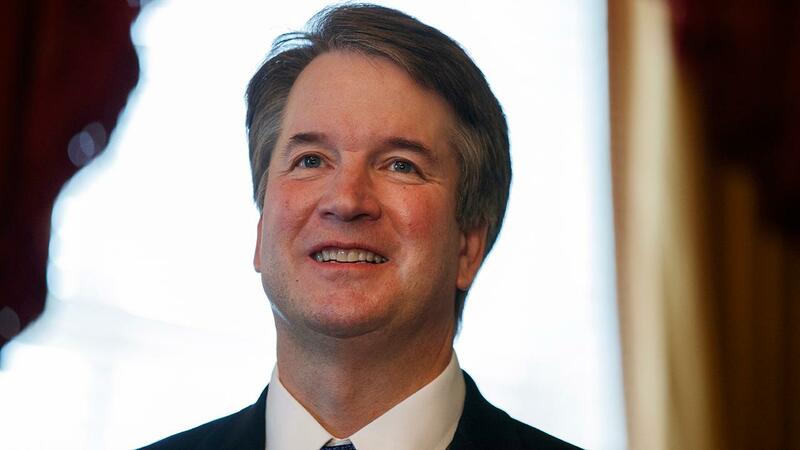 “We remain confident that before the fall is out that Judge Brett Kavanaugh will be Justice Brett Kavanaugh,” he said during an interview with FOX Business’ Maria Bartiromo due to air Sunday. Democrats have expressed concern that Kavanaugh, who would replace Justice Anthony Kennedy, could overturn the 1973 ruling Roe v. Wade, which legalized abortion nationwide. Kennedy upheld abortion rights during his tenure on the top court, but Trump has promised to nominate justices who will overturn Roe. Kavanaugh also has ties to the Federalist Society, a group with deep conservative ties. The president previously said that he has not discussed the issue of abortion with Kavanaugh. Prior to the confirmation of Justice Neil Gorsuch, Trump’s first nominee, Senate Majority Leader Mitch McConnell, R-Ky., changed Senate rules in order to allow Supreme Court nominees to be confirmed by a simple majority, meaning Republicans no longer needed to have a 60-vote threshold. Democrats are the minority in the Senate, at 51-49, but are hoping to wrest control of it back during midterm elections in November, and therefore delay the vote on Kavanaugh until afterward. Sens. Joe Manchin, D-W.Va., Heidi Heitkamp, D-N.D., and Joe Donnelly, D-Ind., all voted in April to confirm Gorsuch, dissenting with the majority of their party.